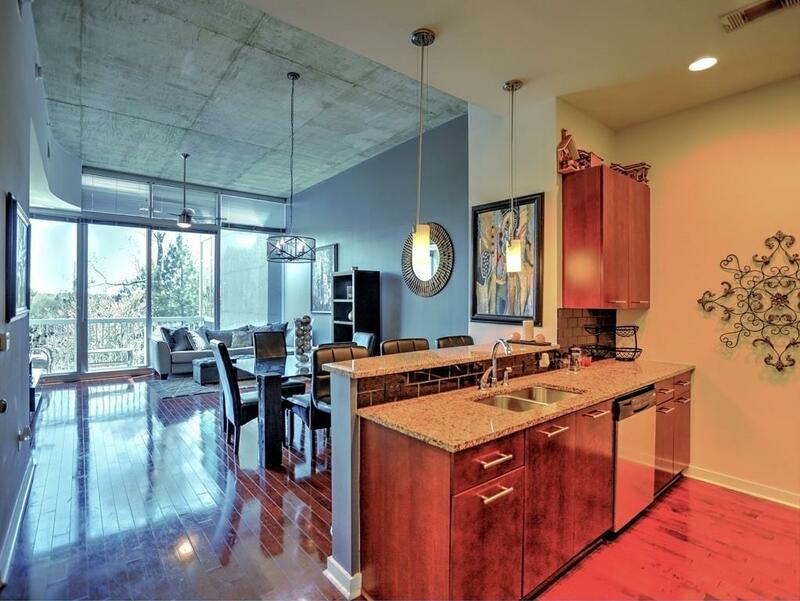 Stunning, ONE OF A KIND unit in coveted Horizon! OPEN Floor Plan, Soaring Ceilings, Large PRIVATE Bedroom, TWO Master Closets. Serene View overlooks wooded path to Charming Park. Perfect Layout. 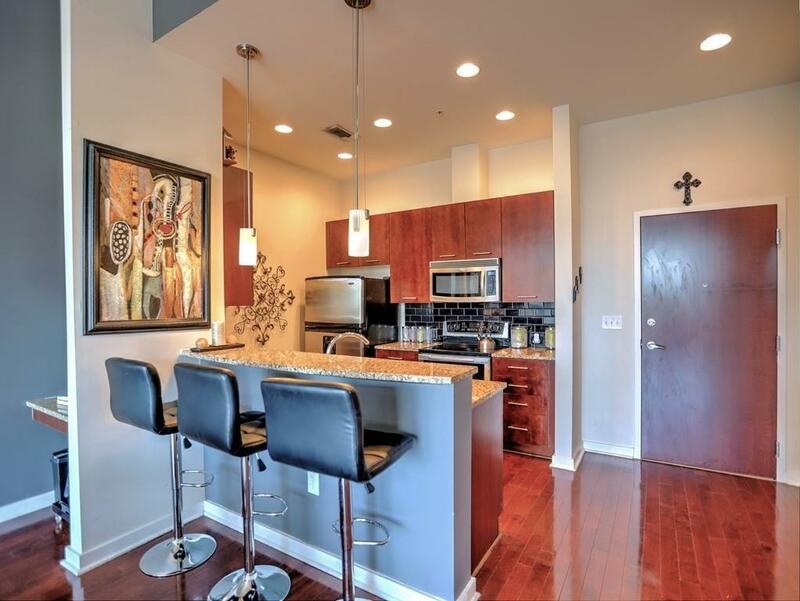 Kitchen features Granite/Stainless Steel/Breakfast Bar - Open to Dining Area & Great Room. 14ft Ceilings!! No other unit like it in the building. Luxury Amenities: Pool/Spa/Fire Pit/Club Rooms/Gym/Dog Park - 24 Hour Concierge. 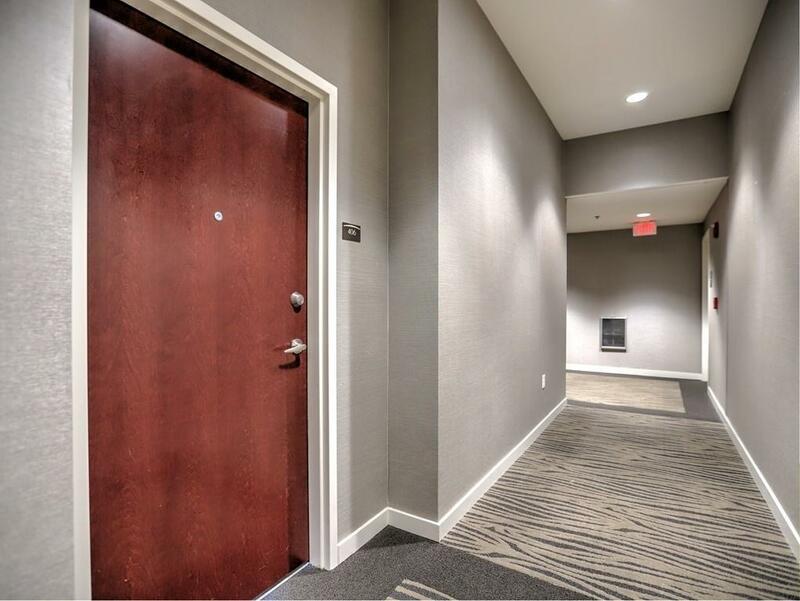 Most convenient gated parking - two spaces from your 4th floor private entrance! 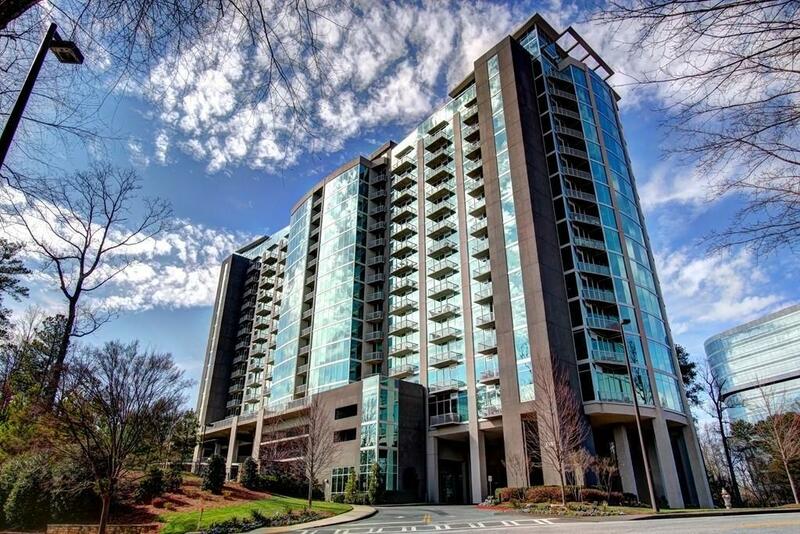 Near the Battery, Chattahoochee Preserve, Shopping/Dining and More!